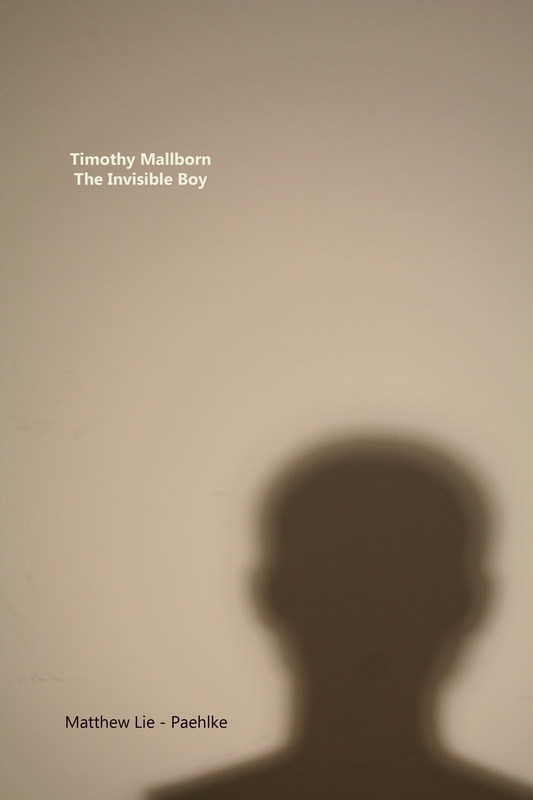 Timothy Mallborn: The Invisible Boy is the autobiography of a boy who disappeared in Toronto’s largest shopping mall. After realizing that he is completely invisible, Timothy fashions a home for himself in the children’s section of a department store. As Tim grows older, he does his best to find meaning in his lonely world. He reads books and rides bikes and plays video games. He tries to communicate with the crowds of people passing all around him by rearranging the merchandise in various stores. He even falls in love. Timothy Mallborn: The Invisible Boy was originally published as a craiglist post connected to a blog. You can download it in ebook format from Smashwords.